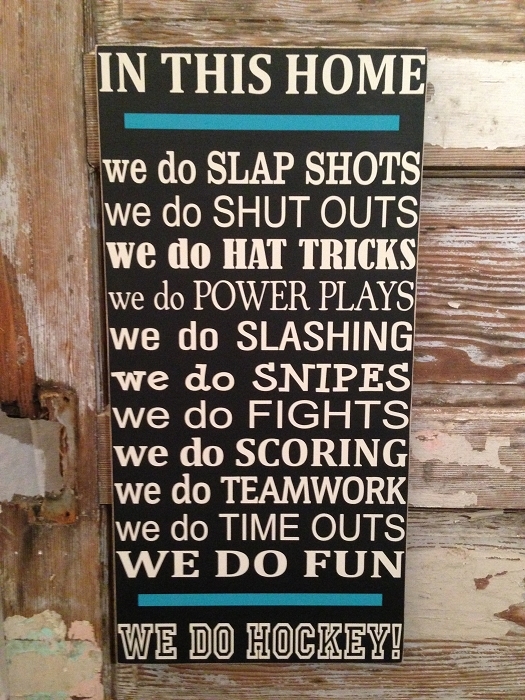 In This House...We Do Hockey. As Pictured, Black sign with Off White Lettering and Aqua Lines. Perfect- just as described. Very happy. Looks great and she was very accommodating to the changes I wanted!